The RF-Video LNAMP-2224 Special Low-Noise Amplifier is designed for use with 2200 to 2400 MHz receivers (not for transmitters). It increases the gain of your receiver without adding large antennas. You can connect any 2.2 to 2.4 GHz antenna to an input connector. 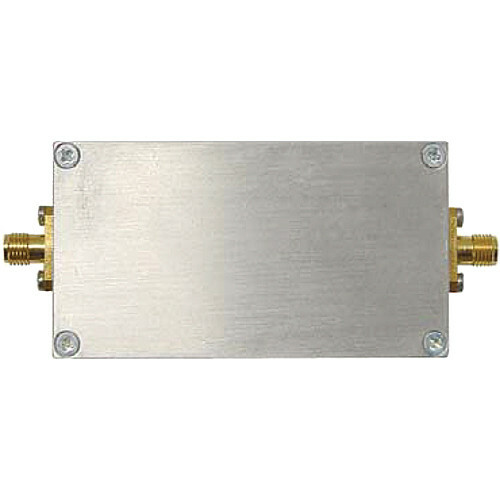 This low-noise amplifier will give you an extra 30 dB gain in a 2.2 to 2.4 GHz band. The output connector is a male SMA type. This amplifier is used in applications including analog and digital transmission systems, laboratory and test equipment, and radar receivers.